vSphere Data Protection (or VDP for short) is a long-standing product you may have heard about or even used to protect your data in your vSphere environment. It’s no wonder that many organizations worldwide relied on VDP as the core piece of technology handling data protection strategies with vSphere. After all, VDP was a fully featured backup solution that met the data protection requirements of many. A few of the key features included agentless, image-level virtual machine backups to disk, application-aware backups, and WAN encrypted replication. In today’s backup environments, when thinking of end-to-end solutions, the aforementioned features are the basic requirements. VMware vSphere Data Protection officially reached EOL and became unavailable. As per the VMware’s official announcement in April 2017, vSphere 6.5 was the last release to include vSphere Data Protection and the following releases no longer included the product. VMware still supports third-party backup solutions that integrate with the VMware vSphere Storage APIs – Data Protection Framework. Therefore, if you currently rely on vSphere Data Protection, you need to start formulating migration strategies to move from VDP to another solid, modern backup solution that matches the capabilities and value of VDP and extends on that set of capabilities and business value. Let’s take a look at NAKIVO Backup & Replication which is a worthy successor and see how you can benefit from migrating to this product from vSphere Data Protection. NAKIVO Backup & Replication not only includes all the features vSphere Data Protection had and is able to use the same vSphere Storage APIs with the Data Protection Framework, but also adds many other powerful and robust features for tomorrow’s hybrid environments. These features make the product a very powerful, easy-to-use, full-featured, and cloud-ready platform for organizations looking for a superior replacement for vSphere Data Protection. NAS server integration – by installing NAKIVO Backup & Replication on supported NAS devices, you can turn your NAS into powerful and full-featured VM Backup Appliances! Many organizations today are becoming more diverse when it comes to utilizing multiple hypervisors. VMware vSphere has been the industry leader since virtualization became mainstream. However, Microsoft has made great strides in closing the gap. Additionally, organizations these days are running more workloads in the cloud, specifically AWS, as well as starting to utilize Microsoft’s Azure. With the diversity mentioned above, organizations need a platform that could offer data protection not just for VMware, but also for other hypervisor platforms, as well as support integration and protect public cloud workloads. 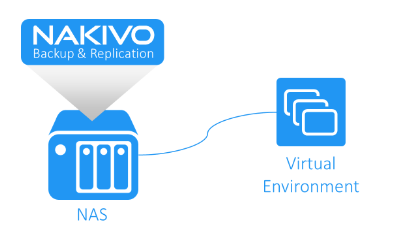 While VDP can only protect vSphere, NAKIVO Backup & Replication is a multi-hypervisor data protection platform that also has strong “cloud DNA” and is capable of both protecting Amazon AWS EC2 instances and storing data in Microsoft Azure. NAKIVO Backup & Replication provides powerful backup, backup copy, and replication features capable of targeting both on-premise and offsite nodes. NAKIVO Backup & Replication features a tremendously speedy HTML 5 interface that provides quick, intuitive, and seamless operation workflows. Additionally, provisioning time for the NAKIVO Linux appliance from download to backing up your first virtual machine is literally minutes! 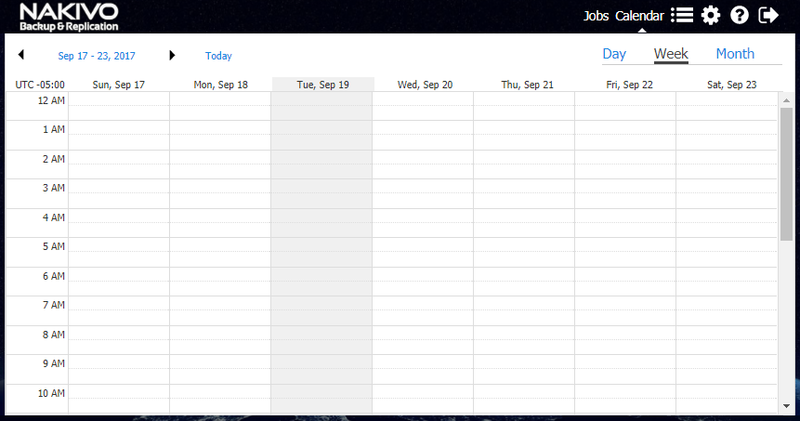 Also, NAKIVO’s new Calendar dashboard interface allows for very intuitive point-and-click viewing, creating, and editing of scheduled jobs. When it comes to backups, we want to make sure they are as efficient as possible. While VDP is able to deduplicate data, NAKIVO Backup & Replication takes this feature to a whole new level, as it provides global data deduplication at the repository level. This means that all data blocks are taken into consideration, even if you are backing up VMware, Hyper-V, and AWS EC2 instances to the same repository. This results in 10X to 30X reduction in storage capacity. For additional storage efficiency, backup jobs run with NAKIVO Backup & Replication are able to intelligently skip unneeded or unusable swap files and partitions. Swap files and partitions are used as “virtual memory” files and store temporary runtime data that is not used by RAM. The contents of the file changes constantly and can grow up to 3X the size of RAM. By intelligently skipping swap files and partitions, the amount of backed up data can be drastically reduced. Replication data is also reduced. NAKIVO Backup & Replication allows instant access to the compressed and deduplicated VMware and Hyper-V VM backups. This provides the ability to instantly browse, search, and recover files directly from those backups without using any special client agent. By default, the feature works out of the box. vSphere Data Protection requires you to access a special VDP Restore Client from within the VM you are restoring files to. Additionally, VDP does not support either dynamic disks, GPT, or compressed partitions, or ext4, FAT16, or FAT32 file systems. By contrast, NAKIVO Backup & Replication supports NTFS, FAT32, ext3, ext4, XFS, as well as Windows dynamic disks and Linux LVM volumes. Using the product interface, you can recover the selected items by sending them over email or downloading them in a web browser. NAKIVO Backup & Replication provides a powerful means to restore virtual machines in a vSphere environment and can even give access to VMs booted directly from the compressed and deduplicated VM backups without performing a full restore using a technology called Flash VM Boot. The VM can be booted within seconds of a Flash VM Boot restore. Additionally, traditional full VM restores are easily performed as well. VDP is not capable of booting VMs directly from backups, and there are fairly stringent requirements for VDP regarding access to the vCenter web UI, or requirements to perform a direct-to-host emergency restore. Using NAKIVO Backup & Replication, you can quickly and easily restore objects of supported applications, including Microsoft SQL Server, Microsoft Exchange Server, and Microsoft Active Directory. This can be done through the fast performing and intuitive HTML 5 interface. You surely want your data protection to be reliable and application-aware. NAKIVO Backup & Replication has you covered on all fronts and is able to create application-aware and consistent backups of application objects, including those of Microsoft Exchange, Microsoft SQL Server, and Microsoft Active Directory. Application-aware backups make sure that all transaction data living in memory is flushed to disk before the backup operation happens. Using special VSS writes with hooks into those applications, NAKIVO Backup & Replication maintains transaction consistent backups. In addition, with application-aware backups, the product is able to truncate transaction logs for Microsoft Exchange Server and Microsoft SQL Server. Log truncation allows for proactive disk maintenance and log pruning to keep disk space to a minimum and have built-in housekeeping with the backup schedule. When you think of reliability, you want to proactively know whether your backups are good. While VDP has a backup verification process, NAKIVO Backup & Replication takes one step further with its screenshot verification feature. With screenshot verification, the VM is booted and a screenshot of the booted OS is emailed to the administrator. Security is on the minds of all organizations today. Backup data is often missed when thinking about data that needs to be secured. When you think about securing your backup data, you think about encrypting the data so that it is unreadable if it falls into the wrong hands. Since backup data contains copies of production systems, it needs to be treated as sensitive as the production systems being backed up. NAKIVO Backup & Replication implements “in flight” and “at rest” encryption meaning that the backup data can be encrypted when it is stored in the backup repository, as well as when it is moving across the network. This ensures that your backup data containing sensitive production information is secure. NAKIVO Backup & Replication ensures perfect performance levels by implementing several key technologies. These include LAN-free data transfer, direct SAN access, full synthetic data storage, and network acceleration. LAN-free data transfer – By utilizing the Hot-Add and Direct SAN technologies, production networks are not affected by backup data. NAKIVO Backup & Replication is able to communicate directly with storage to transfer the backup data. Direct SAN Access – By presenting storage directly to NAKIVO Backup & Replication, backups are transferred directly from storage and bypass the production network. Full synthetic data storage – Backups created with NAKIVO Backup & Replication are fully synthetic with no need for periodic rollups. After the first full backup, the backups are forever-incremental without the need for backup transformation. 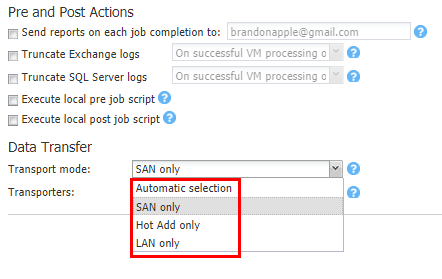 Network acceleration – This feature improves the performance of transfers of VM backups and replication jobs and can increase recovery speed by up to 2X. In addition to the above-mentioned features, where NAKIVO Backup & Replication is not only equal, but also superior to vSphere Data Protection, the NAKIVO’s product provides even more features and functionality to mention. Today, you are certainly looking for any way to automate your processes. NAKIVO Backup & Replication provides access to powerful APIs which allow you to automate and orchestrate VM backup, replication, and recovery tasks. With Multi-tenancy, organizations or MSPs can segregate out environments between business units or clients and provide either Backup-as-a-Service, or Disaster-Recovery-as-a-Service functionality to those business units or clients. Additionally, NAKIVO Backup & Replication stands out among the competitors in the ability to turn NAS devices into powerful, high-performance, all-in-one VM backup appliances. 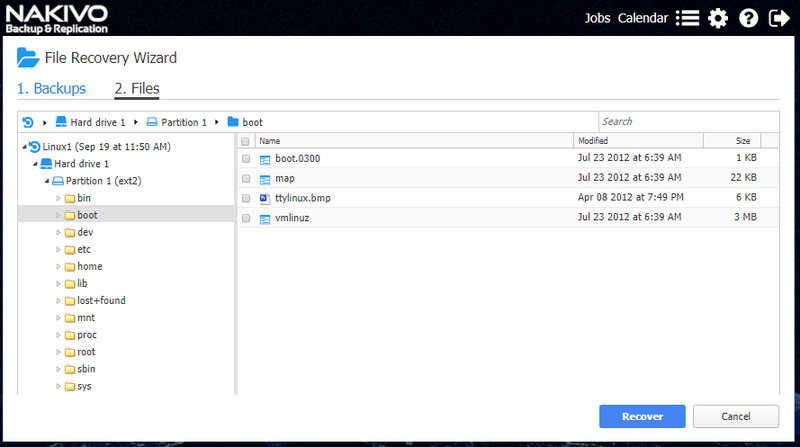 All you need to do is to install NAKIVO Backup & Replication directly onto a supported NAS device. Currently, supported vendors include QNAP, Synology, ASUSTOR, and Western Digital. Many organizations used to rely on vSphere Data Protection as a cornerstone of their data protection. The solution provided nice features and was bundled in with vSphere. However, with the end of life announcement for VDP, you should look at transitioning from the outdated platform to a solution that will not only offer the same capabilities as VDP, but also allow you access to features you need today, such as integration with the cloud. NAKIVO Backup & Replication is a worthy VDP successor, as it covers all the key areas of concern with a data protection platform including reliability, security, performance, and automation across multiple hypervisor platforms and public clouds.